"Did the supplier do a good job with the pre-sorting?" 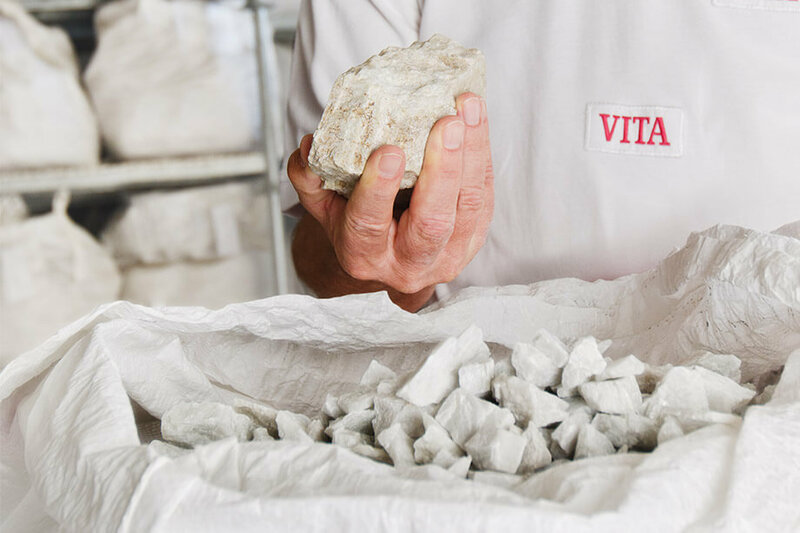 VITA Zahnfabrik regularly inspects the quality and properties of feldspar rock which is the basis for ceramic dental materials, not just in the raw material warehouse but also directly at the site of the mine. Each individual stone is inspected by hand for impurities. Deposits of mica and quartz give information about the degree of purity. 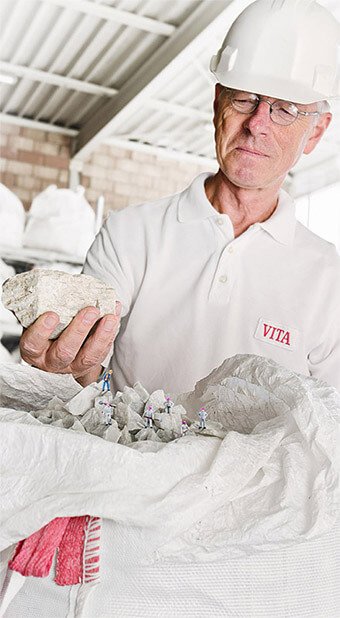 The expert knows: "The stones must always correspond to a typical appearance in order to be able to meet the VITA quality criteria during course of production." 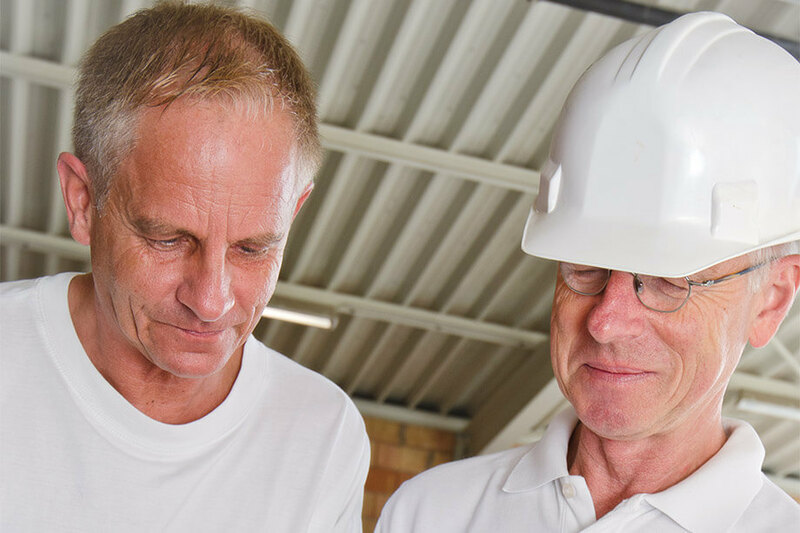 The geologist's experienced inspection is indispensable for this. Only the quality is verified in the pre-inspection are the stones washed, broken and sorted. 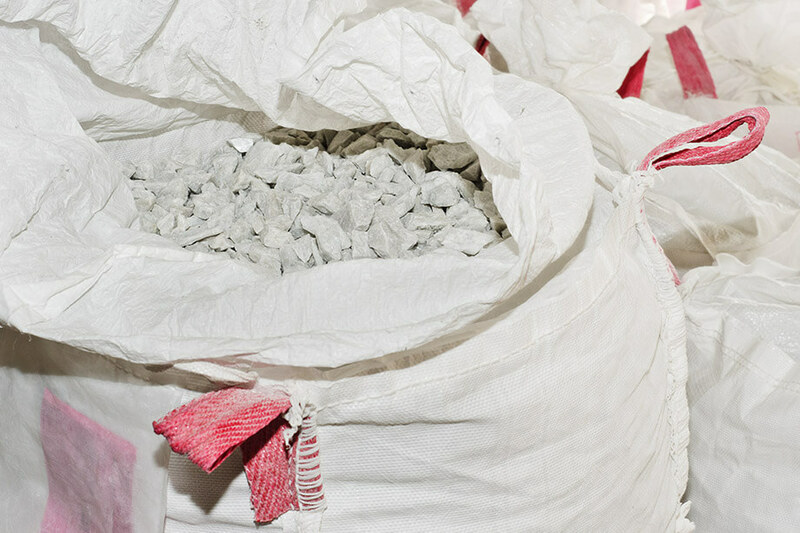 In a second step, firing samples and chemical analyses provide more in-depth information about the quality of the raw material. Only the best feldspar then becomes the precious fine-structure feldspar ceramic from which all VITA veneering material lines are made. 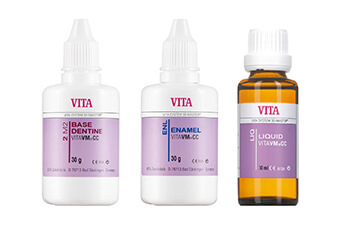 With computer support, the natural material is used in the form of the proven VITABLOCS in the milling unit. 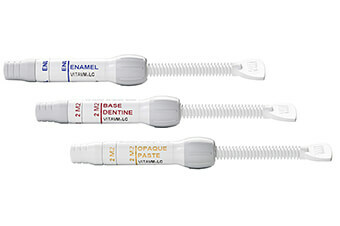 The unique CAD/CAM hybrid ceramic VITA ENAMIC is based internally on a porous fired fine-structure feldspar ceramic network, which is then infiltrated with a polymer under pressure and heat. Feldspar rock is the reliable basis for highly esthetic and biocompatible restorations with functional material properties. There is a piece of nature in every restoration. Only the best feldspar is processed. The experienced eye of the geologist is indispensable. The purity of the feldspar is inspected. 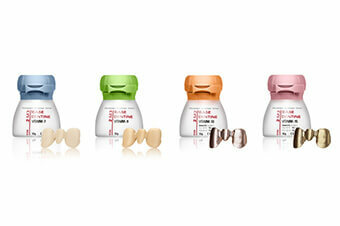 available in VITA SYSTEM 3D-MASTER and VITA classical A1–D4 shades. 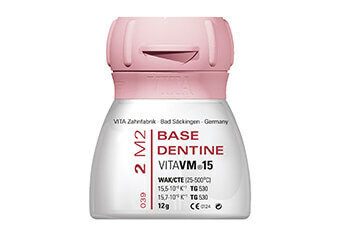 The designations of the VITA VM ceramic components are based on the CTE range of the veneering material. 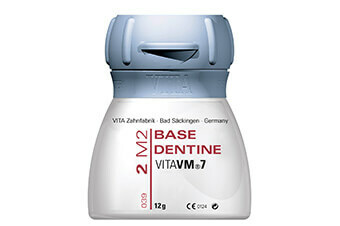 VITA VM7 for the veneering of oxide ceramic substructures with a CTE range of 7.2 – 7.8. 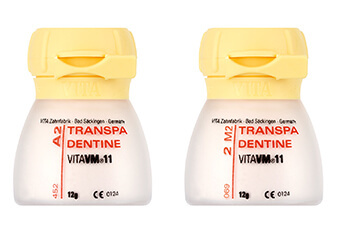 VITA VM 9 for the veneering of zirconia substructures with a CTE of approximately 10.5. 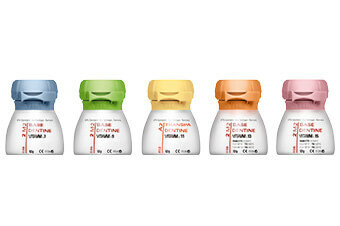 Also for individualizing VITABLOCS and the VITA PM 9 press ceramic pellets. 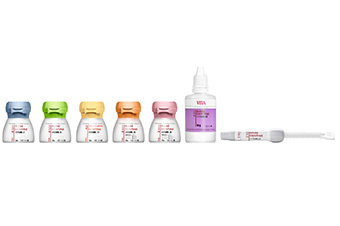 VITA VM 11 for the individualization of restorations made of zirconia-reinforced lithium silicate ceramic (ZLS), especially for VITA SUPRINITY PC. 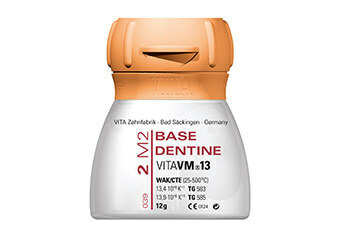 VITA VM 13 for the veneering of metal substructures made of conventional alloys with a CTE range of 13.8 –15.2. 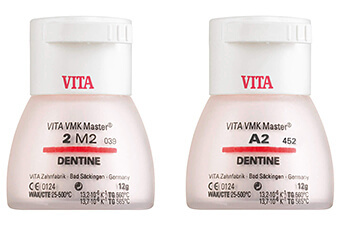 VITA VMK Master is a natural feldspar veneering ceramic for conventional bonding alloys (approx. 13.8 - 15.2 µm/mK), regardless of whether the conventional alloys are cast, milled or sintered. Masterful in reliability, practicality and esthetics – that's VITA VMK Master.